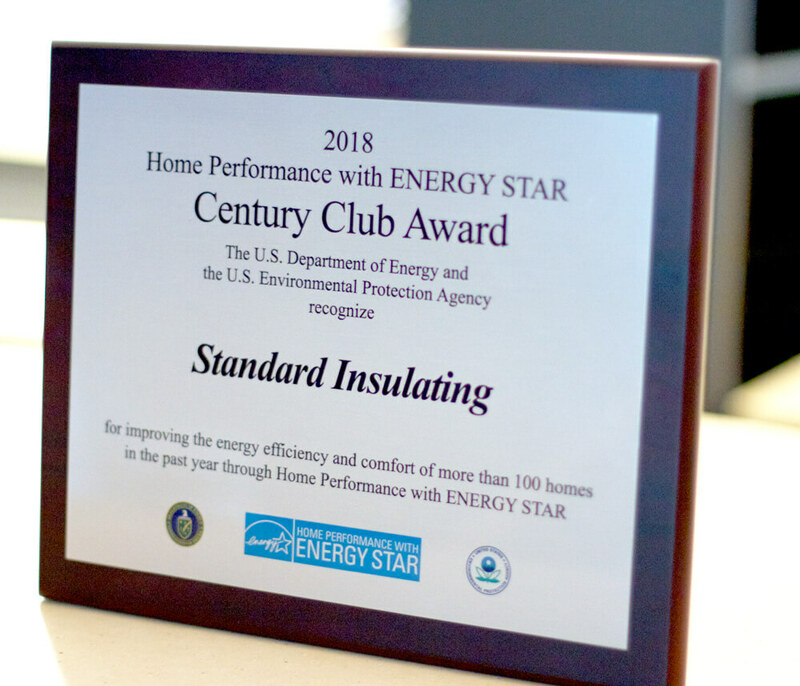 Standard Insulating proudly receives Century Club Award | Standard Insulating Co. The Department of Energy Century Club Award recognizes Home Performance with ENERGY STAR contractors that have improved the energy efficiency of more than 100 homes in the past year – demonstrating their dedication and outstanding contributions to the Home Performance with ENERGY STAR program. Standard Insulating Company is proud to work with the Home Performance with ENERGY STAR program in Central New York to deliver whole-house energy savings and to improve comfort. Find out more about the Home Performance with ENERGY STAR at https://www.energystar.gov/campaign/improvements and of course, contact Standard Insulating to find out more about how the program can help pay for critical home performance upgrades. We want to help make you comfortable, and as always, we promise to save you money.